In the last couple of posts, we have been talking a lot about AuthorRank; what it is, and how it differs from PageRank. So by now, you should have a pretty good idea of what's going on, or should I say, what's gonna happen in the near future. The concept of ranking Agents (Authors) for better search results and elimination of spam seems pretty solid, and this development could change the ranking and SEO game as we know it. And I'd put good money on it. Needless to say, it's high time we all started preparing for it. In this post, we'll share the top 10 tips to improve your AuthorRank and thus, to increase your traffic. While Google PR was mostly about the core of the content, AR focuses more on how the content is received and how it performs. Hence, a lot of emphasis on going social with it. Here are the top 10 tips you need to know before Google officially launches AR. The first step, of course, would be to come up with really good content. Good content is the cornerstone for further developments. And if you want your readers to like your content and engage with it, then make your content worthy of such. And it should be something worth sharing as well. Not something you can find on every other site. The next necessary step would be to set up Google Authorship. This is very important, because this is how Google will identify you, and assiciate your content with a digital signature. Not only do you get a nice little rich snippet next to search results, along with your profile picture, but you also get recognition. And once you do, only then will you get an AuthorRank. We have done a nice little post about it, so be sure to check it out! As mentioned above, the emphasis is now shifting towards 'social'. And this is one big factor that will effect AuthorRank. 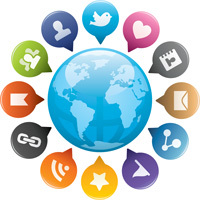 Your presence on social media, and your fan following will be crucial to your success. 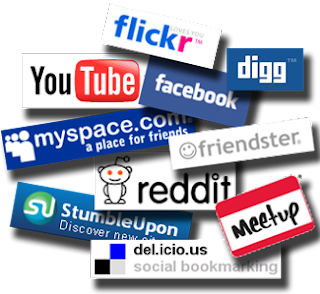 So try to get active on popular social media, such as Facebook, Twitter, Google+, Pinterest, YouTube, and so on. Try to increase your fan following as much as you can, and interact with people. While socializing, pay special attention to Google+. Google wants you to use their social network more and more. So the more you share your posts on Google+, +1 posts, comment on others, and get followers, the better AuthorRank you'll get. Also, the number of people who have you in their circles is a key factor too, so don't forget that. Just like backlinks contribute towards PR, your contacts, especially those on Google+, contribute towards AR. The number of contacts, as well as the quality of contacts will also matter. So start connecting and socializing with people, and keep a look out for people with a high AR. Because a high AR contact will have about the same effect as a high-quality PR. Another factor that Google will take into consideration when evaluating AR is how your content is received and performs. The more +1s it gets on Google+, the better it'll be for you. So encourage people to share your content, and participate in other conversations so that others will participate in yours. But before you ask others to share, make sure you create content that's worth sharing. Your AR will also depend on how much on-site engagement you have. This is measured by how many comments you get on your posts, and how many you reply to. So to increase your AR, get into the habit of replaying to your readers, and encourage them to participate in your debates. AuthorRank will be topic dependant. This means that if you get a good AR in one topic, say SEO, then it doesn't follow that you'll get a good AR in something related to science. Similarly, a professional chef will have a good AR when it comes to cooking recipies, but that doesn't give him a good AR in technology related posts. So for that, you probably will need to focus in one field, at least at first, and get a good hold of your AR on that particular topic before moving on to others. With the introduction of AR, guest blogging will gain a lot of traction. People would want guest bloggers with a good AR to write on their blogs, since it will help their own PR in turn. And people would also want to write on high PR sites to get a good AR for themselves. So get used to this idea beforehand. For AR, it is important how many sites you have published your content on, and how good those sites are. When AR comes, you don't want your old guest posts on cheap, low-quality websites to hold down your AR. 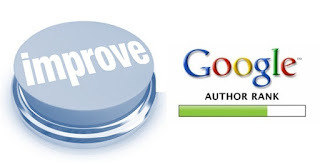 So concentrate on writing for a few good quality sites, and you'll definitely get a good AuthorRank. Finally, help people out as much as you can. Interact with your readers, and answer their questions to encourage them more, since socializing is what this is all about. Readers want a source they can trust. And they'll trust and respect you if you reply to them and help them out.